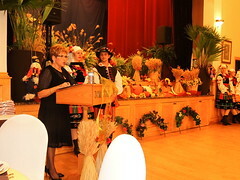 As the second millennium closed in 2000, the Polish community of Windsor celebrated the 75th anniversary of the founding of the Polish Peoples’ Home Association, the oldest and largest Polish organization in Windsor known widely by its original name – Stowarzyszenie Polskiego Domu Ludowego – SPDL. 75 years is indeed an event to celebrate – be it a person, family, or organization. This anniversary offered a time to reflect on the evolution of the Association and accomplishments achieved over the years, as well as looking with anticipation to its future. The history of the organization is long and storied, woven in and around the events occurring in its hall. It has been captured in commemorative booklets covering the following general periods: Period I 1925 – 1950 Period II 1950 – 1985 Period III 1985 – 2000 It is impossible to do justice to the historical recounting in a short summary, and we encourage the reader to refer to the more thorough renditions of the commemorative booklets. However, we will attempt to provide short synopses, as follows. In 1925, a group of 38 dedicated people met in the Holy Trinity Church Parish Hall, with the intention of forming an organization for Polish immigrants. After obtaining its Charter, the group set about the planning and construction of a meeting place they could call their own. Their dream was realized in 1930, when, after overcoming financial and physical obstacles, the current facility was completed. 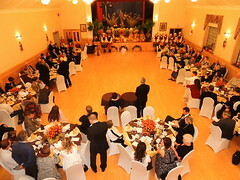 This building became the focal point for social gatherings such as meetings, weddings, dances, etc., for the organization, its members, other Polish organizations created over the years, and other ethnic communities in Windsor. During World War II – a time of hardship for the Polish nation – the Association and its members stepped forward to play a very important role in providing support for their brethren in Europe. Various fund raising activities were initiated and centered at Dom Polski to raise monies for the victims of the war in Poland, as well as to provide food and medicine for Polish soldiers fighting on various fronts, as part of the Allied forces. In 1941, “Dom Polski”, as the building is known to everyone in Windsor, became the headquarters of the Polish Army in North America, and a recruiting centre for the Polish Army, which was then under the command of Major General Bronislaw Duch. General Duch was very impressed by the spirit and dedication of the Polish people in Windsor, stating publicly he wished Windsor would “never stop working for Poland”. 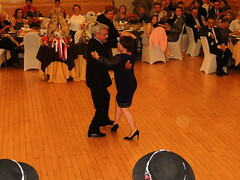 Time marched on, and the association continued to achieve milestones of existence, marking its 60th and 70th anniversaries of service to Polonia of Windsor. 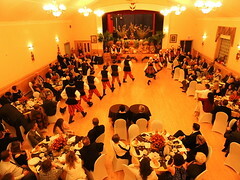 The hall remained the stage for presentation of Polish heritage and culture to Windsor. 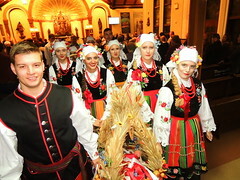 Over the years young people, participating in dance ensembles such as Krakowiaki and Tatry, trained in and performed traditional Polish dances at functions such as the Polish Village, which is held annually at Dom Polski in conjunction with Windsor’s Carousel of Nations Festival. 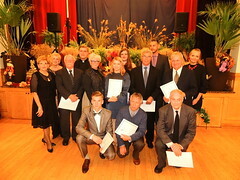 Since 1995, continuing an old tradition, a drama and vocal group “Plomien” has arisen, and under the umbrella of the Polish People’s Home Association, has added to the cultural landscape of Polonia, giving performances not only at Dom Polski, but throughout southwestern Ontario. One cannot ignore the rise of a very talented local young musician, Daniel Wnukowski, who at a tender age gave stirring piano performances of his own compositions at Dom Polski. The Association has been active financially in supporting him in his continued studies in Poland, as he prepares for the upcoming International Chopin Competition. 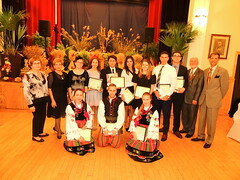 The organization has continued to support Polish youth and Windsor’s Polonia, whether with direct financial assistance, or in making its facilities available for training, cultural events, or fund raising activities. 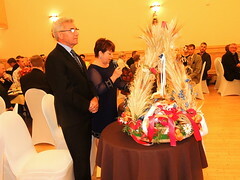 As the Third Millennium approached, the organization realized its aging facility could not properly meet the needs of the growing Polish community in the future. In response, the executive of the Association created a Building Committee in 1995, with the mandate to explore, and propose, the most viable way of expanding the current facility. Their work is expected to bear positive fruit early in the new century. 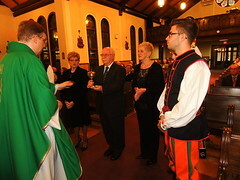 The Third Millennium is now upon us, and on reflecting over the past 75 years, we look forward to a continuation of the inspiring tradition and selfless dedication of our ancestors of serving not only Polonia, but also the Windsor community in general.